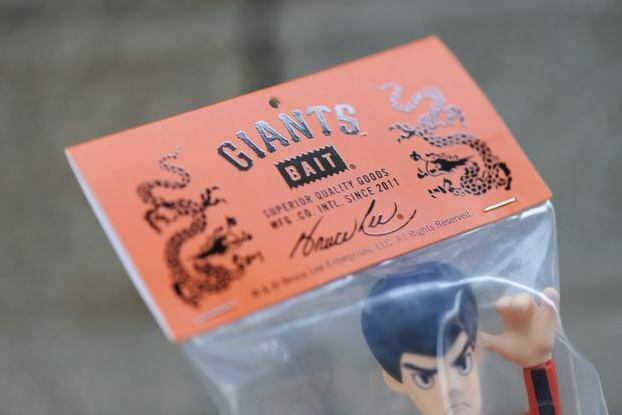 BAIT is proud to collaborate with Bruce Lee Enterprises and the San Francisco Giants on a special figurine of the iconic martial arts master. 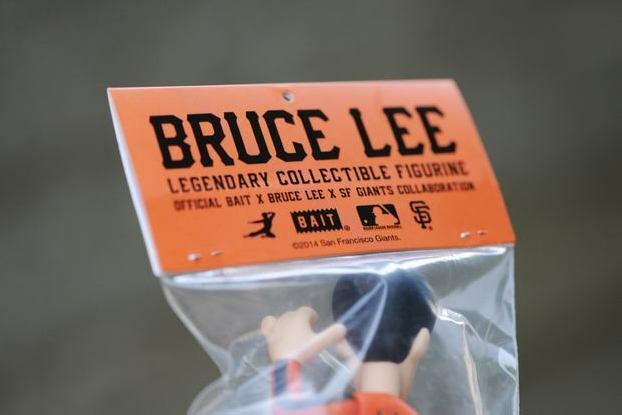 The collectible will be given away as a part of the Giants’ Bruce Lee Tribute Night, which is being held for tonight’s game at AT&T Park! Special event tickets are still available by clicking here. Only a limited number of figures will be available to the special event ticketholders only, so get there early. 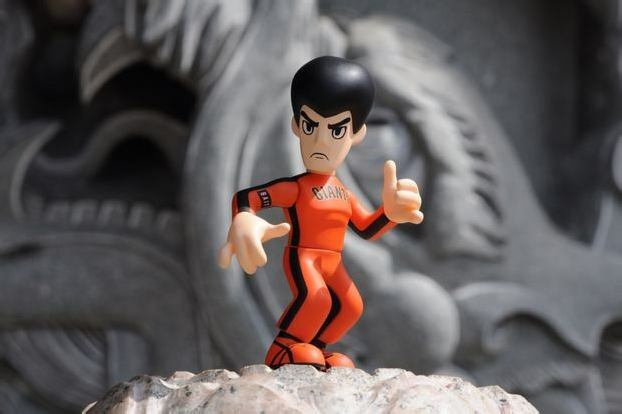 The BAIT x Bruce Lee x San Francisco Giants figure is designed by CoolRain Lee. The Giants’ logo and trademark orange are applied to Lee’s iconic Game of Death jumpsuit. 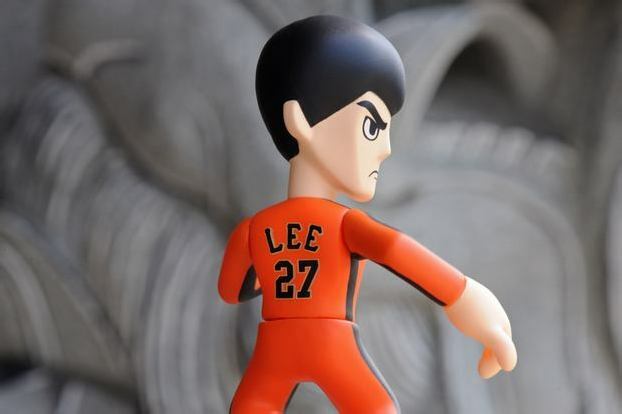 The figure sports a #27 jersey, symbolizing the age at which Lee passed. The BAIT logo can be found on the right bicep. The figure stands at 3 ¾” tall and is articulated at the head, shoulders, hands, waist, and feet. Continue reading for more images.